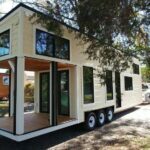 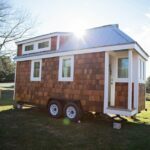 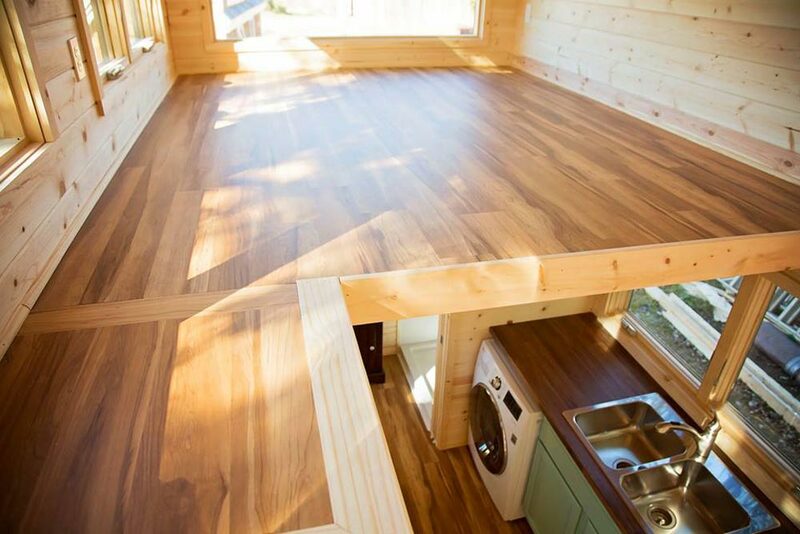 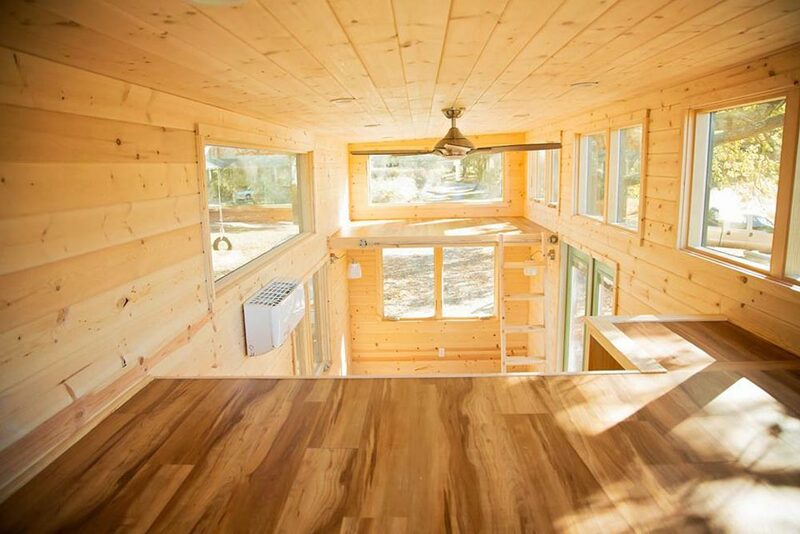 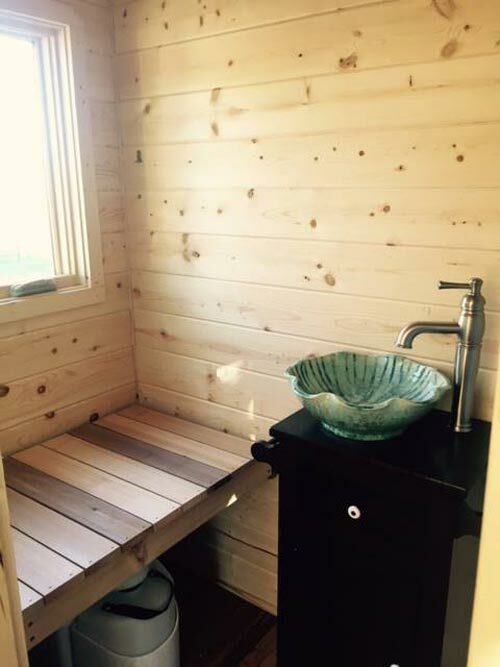 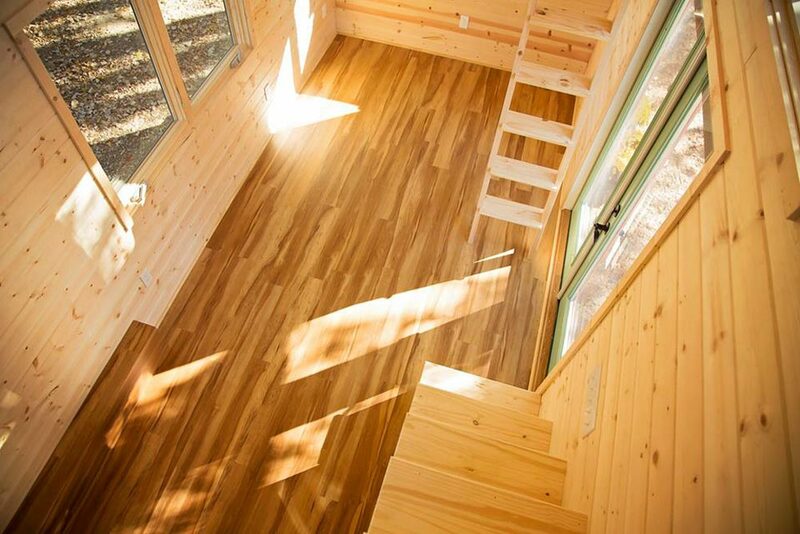 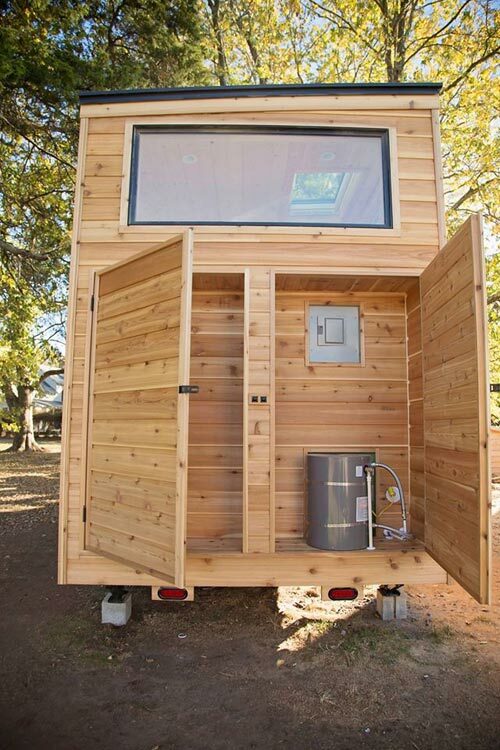 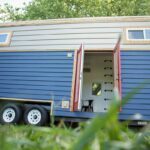 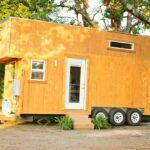 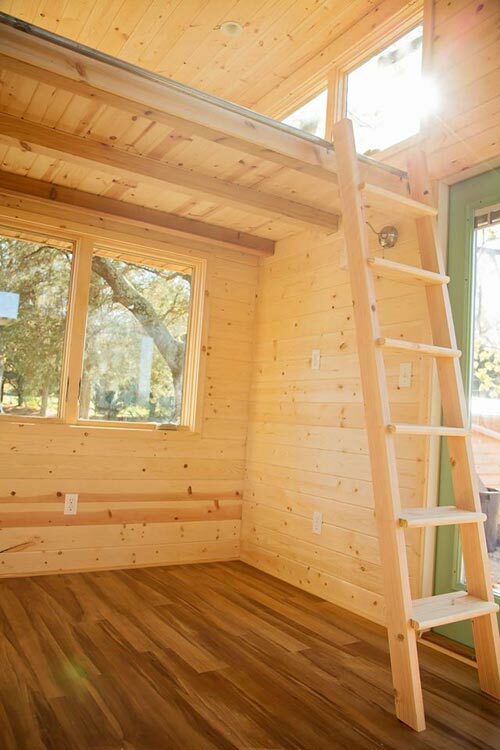 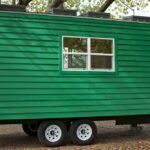 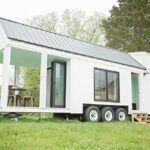 Peponi is Perch & Nest’s 7th custom tiny house on wheels. 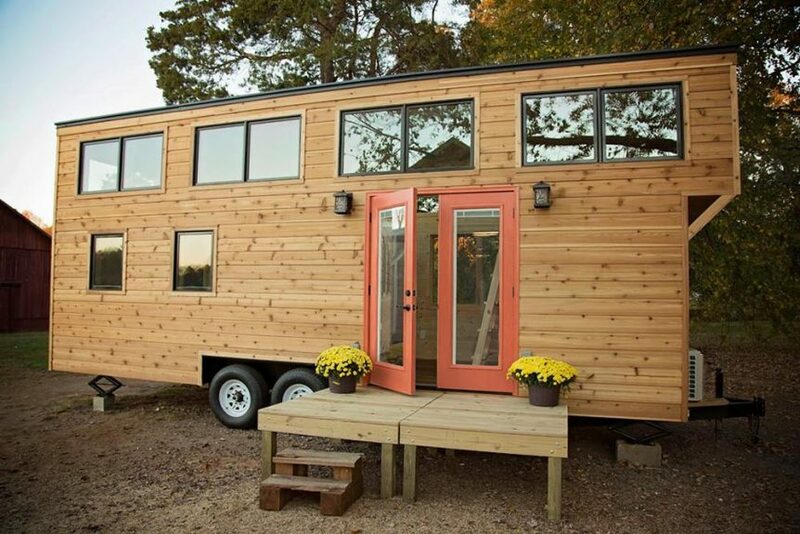 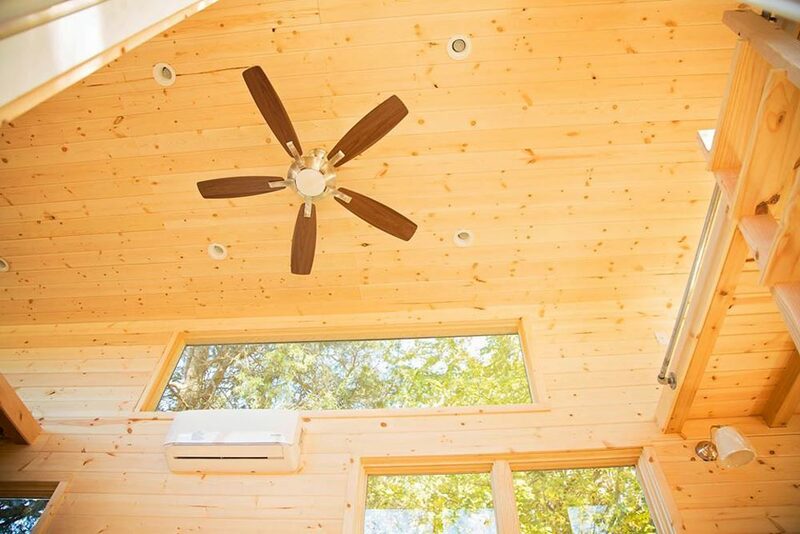 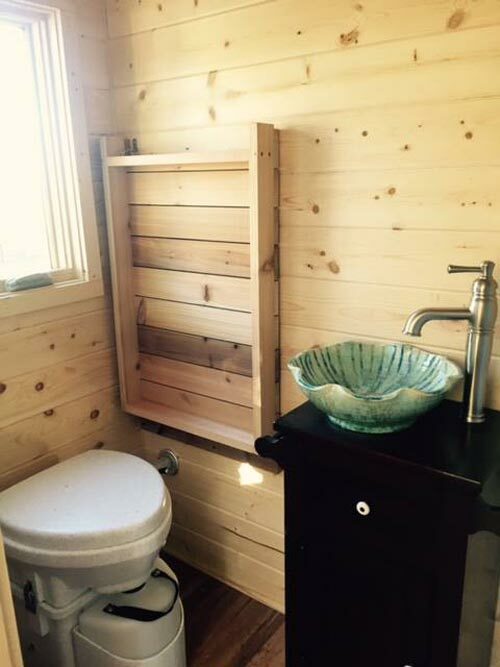 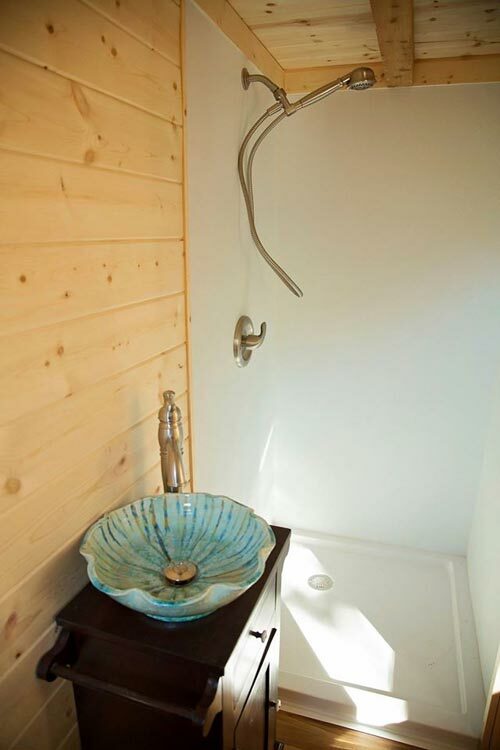 The house was built on a 24′ double axle trailer and uses channel rustic cedar siding along with aluminum and pine windows. 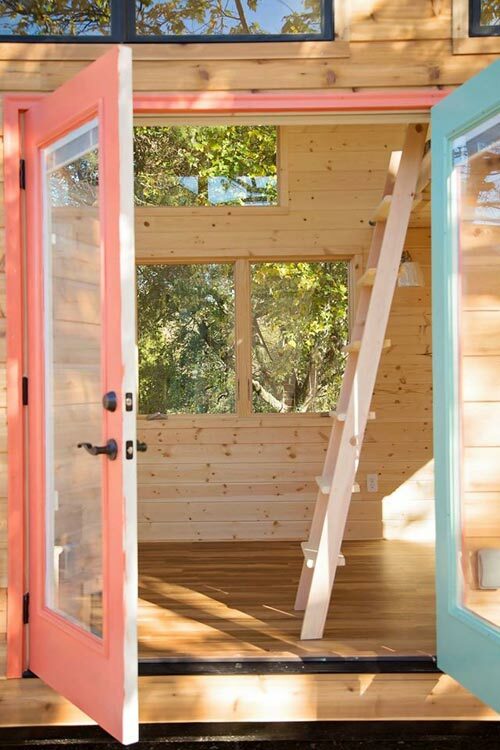 There are 5′ French doors with internal blinds and a large utility garage at the front of the house. 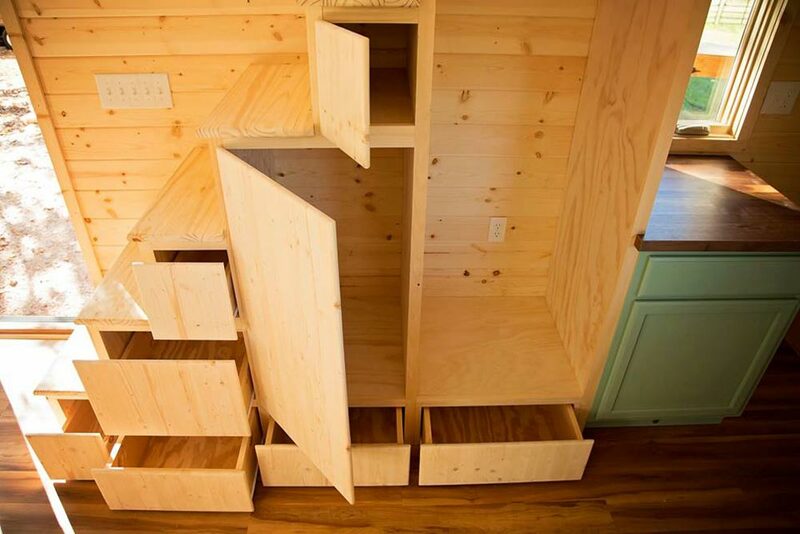 Also available from Perch & Nest: No. 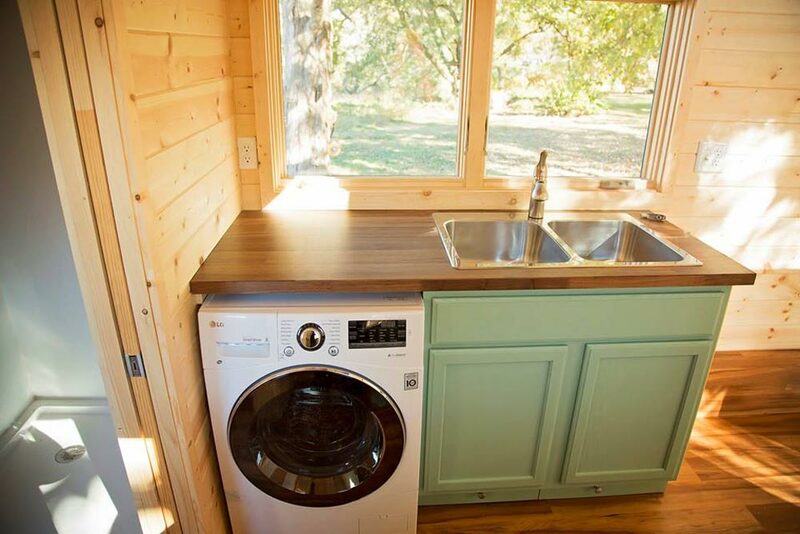 4 Cotton Burrow, Roost 36, Pecan, American Pie, Green Bean, Boho House.